Anon, you are correct! 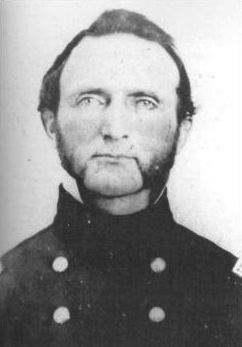 It is an early photo of Stonewall Jackson. Good job, Anon. Please leave a name. We like to know who you are. Nate: In Ozona tonight. Still on the move. So close to 'The Compound'. Judi, what fun. I wish I were on a road trip. You should write PJM and let him know you're in his neck of the woods. I (Chuck Kelly in Sugar Land, Tx) am anon. I couldn't get my password to work correctly, so I answered as a stealth responder. I should be identifiable from here on. When I am older I would like to live in French Fries land. Rob: There is such a place as Sugar Land, Texas. It was a company town whose principal industry was the Imperial Sugar Company. It has an interesting history. I can provide a little more info if you're interested. I have to say, I'd like to live in French Fry City, too! Chuck: I read in Wikipedia it had something to do with a sugar plantation, which sounds plausible. I also read that it is on of the best cities to live in the US, one of the safest cities, and a top suburb to live well, noting its ‘affluence despite its large population’. So apparently you picked a nice place to settle! Rob, at first I thought you must have been making some kind of reference to Belgium (as French Fries Land). Sugar Land does have a nice ring to it, but I'm still thinking Carefree, Arizona, holds my vote for nicest name. So why not call them Belgium Fries? We just call them Fries ('friet'), and when they are big: Flemish Fries, preferable with lots of mayo!